Direction: From Rt 11, Right on Wolfs Bridge to property on left. Disclosure: The data relating to real estate for sale on this website appears in part through the BRIGHT Internet Data Exchange program, a voluntary cooperative exchange of property listing data between licensed real estate brokerage firms in which participates, and is provided by BRIGHT through a licensing agreement. The information provided by this website is for the personal, non-commercial use of consumers and may not be used for any purpose other than to identify prospective properties consumers may be interested in purchasing. Copyright BRIGHT, All Rights Reserved”, “Information Deemed Reliable But Not Guaranteed Some properties which appear for sale on this website may no longer be available because they are under contract, have Closed or are no longer being offered for sale. 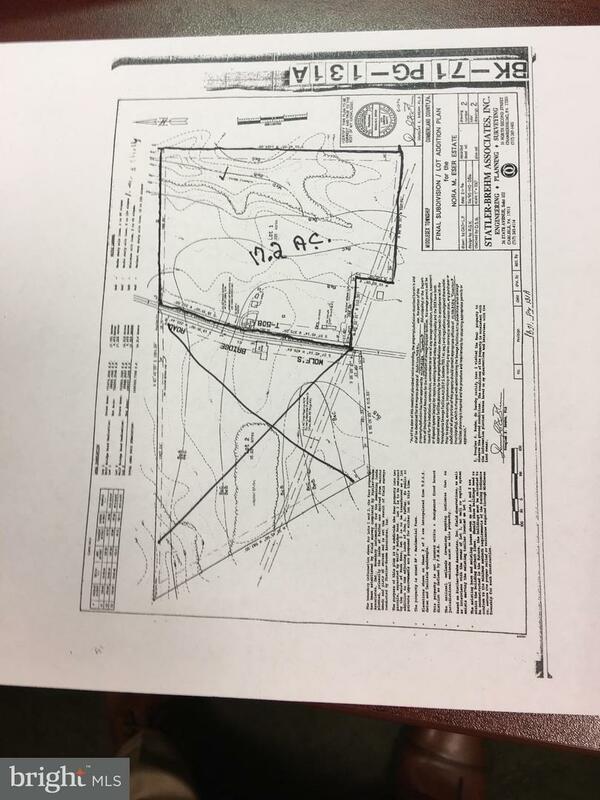 229 WOLFS BRIDGE ROAD , Carlisle PA 17013 is a Land, with 0 bedrooms which is for sale, it has 771,012 sqft, 771,012 sized lot, and 0 parking. A comparable Land, has 0 bedrooms and 0 baths, it was built in and is located at Lot 3 PINE HILL R ROAD CARLISLE PA 17013 and for sale by its owner at $ 94,900. This home is located in the city of CARLISLE , in zip code 17013, this CUMBERLAND County Land, it is in the Subdivision, and CARLISLE are nearby neighborhoods.